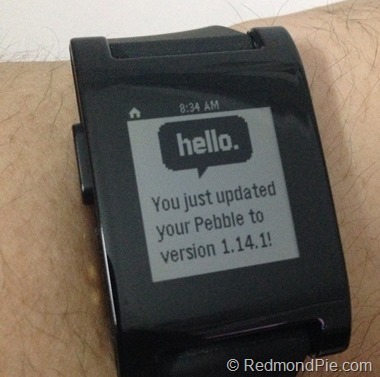 PebbleOS 1.14.1 has just gone live for the Pebble smartwatch. The new firmware update includes a bunch of new features and bug fixes for the popular smartwatch which works with both iPhone and Android devices. 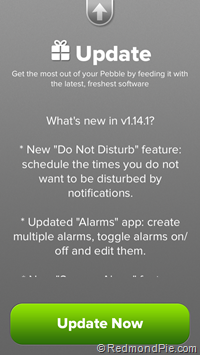 New Alarm options: You can now set multiple alarms, toggle them on and off, edit existing alarms and customize snooze functions for the alarm. New Notification options: Apart from the already mentioned Do Not Disturb mode, you can now set notifications to Notifications On, Phone Calls Only, or Notifications Off. Improved performance with iPhone: Fix for notifications lag issue; connects to iPhone immediately instead of waiting for a minute after exiting the Airplane mode on the iPhone. A whole bunch of bug fixes for Caller ID and Bluetooth issues etc. 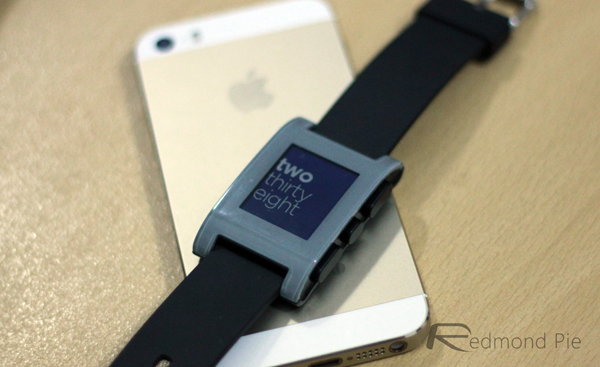 Full list of changes can be found over at the official Pebble blog here. Step 1: Connect the Pebble to your smartphone via Bluetooth. Make sure it’s fully charged. Step 2: Fire up the iOS or Android app and tap on the glowing red icon in the center, as can also be seen in the screenshot below. Step 3: Now tap on the “Software updates available” option. 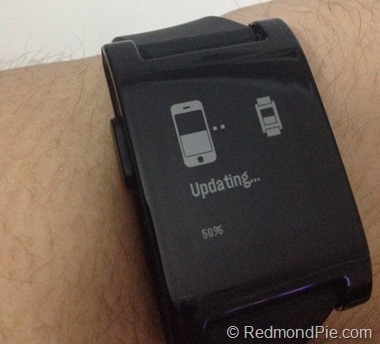 Step 4: Last but not the least, tap on the “Update Now” to start downloading the firmware on your smartwatch. Your Pebble will now show the installation progress on the display. 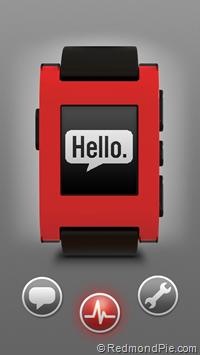 Once done, Pebble smartwatch will automatically restart and greet you with the “hello” message.